So, you want to make your Instagram account private? Good move — especially if you post content that you don't want to be viewed by a particular individual or group of people who might go looking for you on Instagram. The Android app should look very similar, with perhaps some very small variations. Tap the profile icon in lower right-hand corner of your screen, then tap the menu icon in the upper right. Tap the Settings gear icon in the lower-right corner of the slide-out panel to access your settings, then tap Privacy and Security. Tap Account Privacy and on the following tab, tap the button so that it slides over to the color blue. If it's not your whole profile you want to make private, but just a few pictures, you also have the option to hide select photos on your Instagram account. The option is in the photo menu. You have successfully set your Instagram profile to private. (There's no requirement to save your setting changes.) As long as you that Private Account option is on, only the users who are currently following you, plus any new users you approve if they request to follow you, will be able to see your Instagram content. What if I tag a user or add a hashtag to one of my Instagram posts when my profile is set to profile? Can people still see it? Only the users who follow you will be able to see it. Tagging other users who don't follow you or putting a hashtag in the description does not override the privacy of the post. It will not be visible to anyone else who does not follow you already. What if I want to share an Instagram post on other social network sites when my profile is set to private? If you decide to share a post to Facebook, Twitter, Tumblr, Flickr or another social network, it will be publicly accessible to view as a standalone post. Anyone viewing it will be able to click on the Instagram permalink to view it in full, but if they click on your username to view your full profile, they will not be able to see your other content (unless they follow you already). If someone decides to follow me while my profile is private, will they be able to see my posts? Not until you approve them. When one user taps the Follow button on a user whose profile is private, it only sends a follow request message. So if you get a follow request from someone, they will not be able to see any of your content until you manually approve their request to follow you. Can I set my profile to private by signing in to Instagram.com on the web? No. 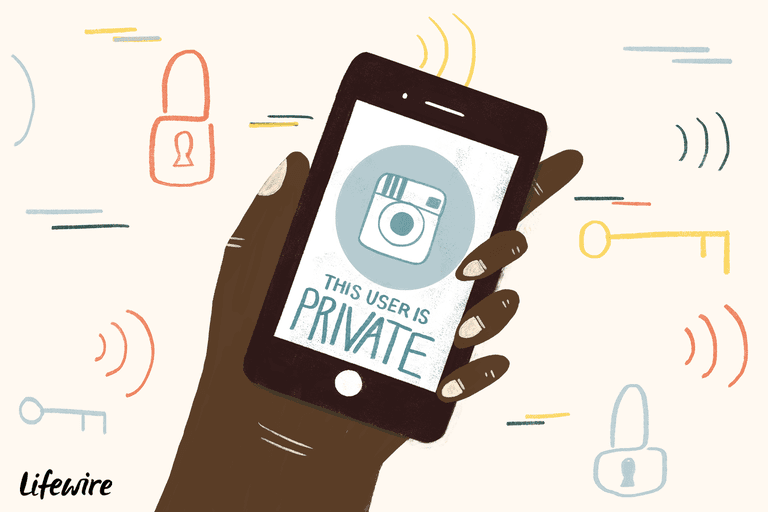 Instagram currently doesn't let its users access their privacy settings from the desktop or mobile web. You can only do it from Instagram's official iPhone or Android apps. You can, however, edit your profile information, change your password and customize your email subscription settings via Instagram.com. How often can I switch back and forth between public and private? There doesn't seem to be a limit as to how often you switch your privacy settings on or off, so if you feel inclined to do it multiple times a day, it shouldn't be a problem. Keep in mind that this could change since Instagram places restrictions on other forms of activity. Will I lose followers if I make my profile private? No. You will not lose any of the followers you currently have, and all will have full access to everything you post.